Do you remember a pet from your childhood? Do you remember how that animal made you feel? Do you remember saying good-bye? Our pets are great teachers. They teach us that we are worthy of being loved and capable of loving. They teach us about friendship. They heal our deepest insecurities and remind us that we are not alone. They heal our wounds, and then they move on, leaving an imprint that lasts forever. A recent survey by the American Humane Association reveals evidence of the extraordinary therapeutic benefits of pets, particularly between children and the animals they grew up with. The respondents provided comments about beloved pets from their youth, and the comments illustrate that children share an irreplaceable bond with their pets which has a lasting impact. 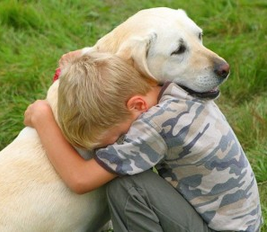 The bond is so strong, in fact, that many people will grieve their childhood pets for the rest of their lives. 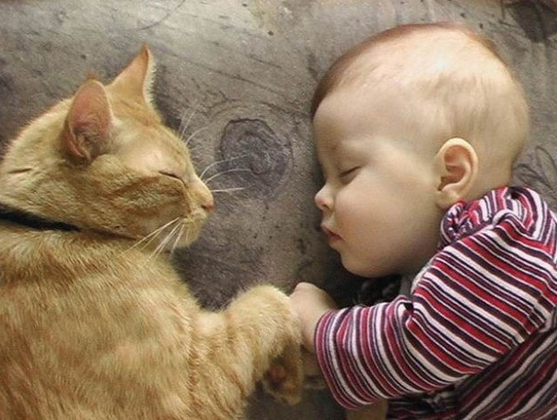 The relationship between humans and animals is a fascinating exploration into the emotional capabilities of mankind. A beautiful element of human nature exists, allowing us to feel deep love and empathy for a creature outside our own species. In fact, some people (particularly those who have experienced severe or repeated trauma) say that they feel more empathy for an animal than they do for other human beings. What is it about our pets that allows us to love so deeply? We love them because they fulfill our most basic and primal needs–the need to belong, the need for touch, the need for compassion, the need to be seen, the need to be loved. Animals see us in our rawest forms, and they love all parts of us–the good, the kind, the angry, and the ugly. In a world of constant judgment and high expectations, animals expect nothing more from us than to be whoever we feel like being in that moment. Our relationship with our pets is very symbiotic. When we take care of them, they will give back in a multitude of ways. A growing body of scientific research shows that pet ownership results in a number of proven health and therapeutic benefits (physical, mental, and emotional), running the gamut from enhanced social skills to a decreased risk of heart attack. Benefiting from each other’s existence, we explore the world with our pets, and suddenly we feel less alone. They come into our lives for a brief period, and we are constantly aware of that brevity. We know their lives are fragile and shorter than our own. We know that we will likely lose them one day, and that makes our time together even more special. As they age, we become more gentle, more understanding. When they do something silly, we belly laugh, just watching them exist in the same world, yet through the lens of a species so different from our own. We are fascinated by their differences, their beauty, their agility, and their ability to love unconditionally. We trust them with our children, and they teach our children in a way that creates a lifelong impact. Maybe you grew up in a large family and always imagined yourself raising your children around your parents, siblings, aunts, uncles, and cousins. Then you somehow found yourself a plane ride away, with only your husband or partner to help. Or perhaps you never experienced that example of family, yet still somehow feel as though something is missing from your world of parental connection. Do you miss the village of mothers you never had? On some level, most of us do. In traditional societies, attachment parenting is possible, because the entire village helps out with the children. The mother is able to co-sleep, breastfeed longer, wear her baby everywhere she goes, because when she needs a break, she has several capable and trustworthy people willing to help her. Whether you practice attachment parenting or not, in our society, parenting in general falls solely upon the shoulders of the mother and father. This responsibility can be very lonely and exhausting. And when the parents get burned out, it is often because they are doing too much alone. Do you feel burnt out? If so, it is important to reach out for support and create your own village. However, reaching out can be harder than it sounds, particularly in our very nuclear-family based society. Reaching out will take effort and entails jumping out of your comfort zone. Meeting new people and asking for help with your children is not easy for everyone--especially for more introverted women. And, breaking into an already established group of women can be difficult, especially if you have just moved to a new town or neighborhood where relationships have already been established. Even though seeking out friends to be a part of your village isn’t always comfortable, it can be so worth it in the end. We aren’t designed to care for our babies alone. If you are raising kids and don’t have family around you, just know that it’s okay to sometimes feel like you are losing your mind when you are doing it by yourself. That’s because you aren’t designed to do it that way. The best thing you can do for your children is to discover your own peace of mind and sense of self. Reaching out to others for connection and support is essential for this discovery to take place.